Therapeutic Reflexology assists the twelve systems of the body perform the assimilation and elimination processes. The process requires Oxygen from the lungs, Nutrients for the stomach, Fluids for transportation and a Structure for it all to operate in. It is by drawing on your Original Template, DNA record and environmental factors that you set your intentions and direction for the combined outcome of your Total Body Wellness and your unique ART of Being Human. 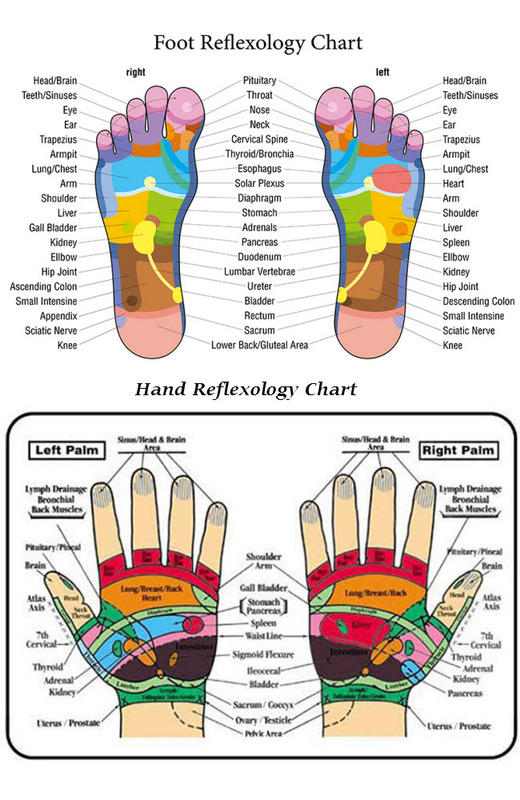 Here’s a chart that shows the major reflexology points in the hand and what part of the body it relates to. By massaging these points, you will contribute to your wellbeing.